The bodies of 53 Gaddafi loyalists have been found at a hotel in the Libyan city of Sirte after apparently being executed, a human rights group says. Human Rights Watch (HRW) said the victims – some of whom had their hands bound – died about a week ago. As the sun rose over the shell of Sirte on Thursday, Ben Farmer, the only British newspaper journalist left in the city, found it was immediately apparent that something had changed. 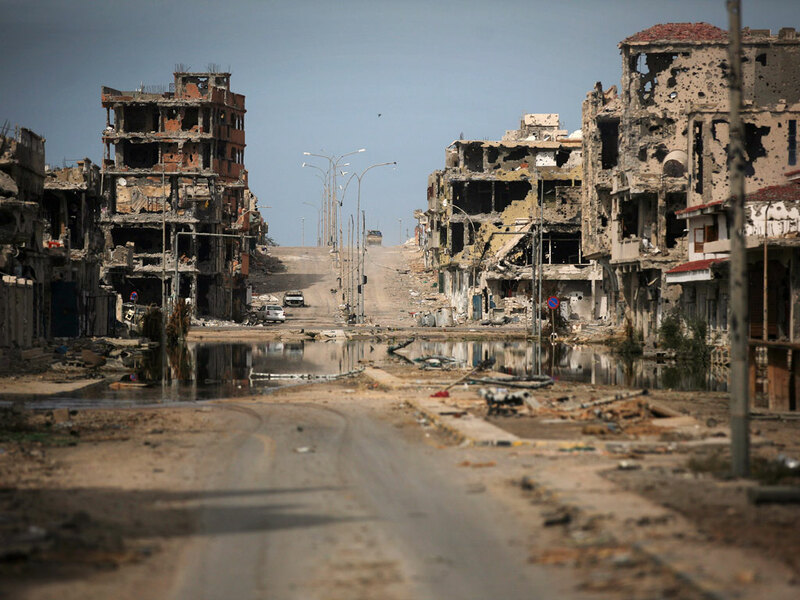 Utterly ravaged by months of bombardments, Sirte was a skeleton of a city – a place without food, water or light; a city without citizens. Its streets were turned into rivers by burst pipes, as fighters battled through waist-high swathes of mud brown water, street by bloody street. But as the sun rose over the shell of Sirte on Thursday, it was immediately apparent that something had changed. The swaggering architectural ambitions of Colonel Muammar Gaddafi never achieved the stylistic unity reached by Hitler in Berlin, but he had his dreams. And the most cherished of all his projects was to one day see his home town of Sirte turned into the shimmering, futuristic capital of a United Africa. Well, he lived just long enough to see it – over his shoulder for one last time as he fled on Thursday morning – transformed into a grotesque husk of a city with broken bits of what buildings still stood sticking out from the ground like the shattered remains of the teeth of a mugging victim. It looks today like Ypres in 1915, or Grozny in 1995 after the Russian Army had finished with it. The Lonely Planet guide once described Sirte as a “city without soul”. Now it’s almost without an intact building. Nearly every house has been pulverised by a rocket or mortar, burned out or riddled with bullets. Water floods the streets and the infrastructure of a city upon which the Libyan leader lavished many millions has simply ceased to exist. 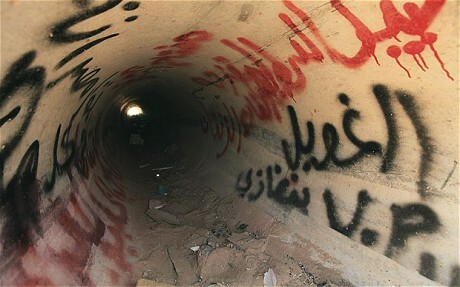 The devastation is comparable to that suffered by Misrata during the war. But the bombardment of Sirte and the burning of homes that belong to Gaddafi family members and supporters has raised suspicions that some fighters loyal to the National Transitional Council (NTC) brought a particular ferocity to their task. Every Single Day There Are Bombings. Asiel spoke to many people in Sirte today – and recounts to us what is going on – it is surrounded by NATO’s rebels.